The Political Science Association is looking for qualified undergraduate or graduate students (including MPA, MA and PhD) who would like to help the department. The mentorship program pairs experienced students with 1st or 2nd year PSA members to improve their academic experience and foster an interest in Political Science outside the classroom. This position is an excellent networking tool that will look positive on a resume or application. As the year comes to a close, the PSA is preparing for a couple last events and arranging for the transition to a new Executive Team. The PSA is hosting its Executive Team elections on 2 April 2014 starting at 5:30 PM in the Professors’ Lounge, SSC 3036. This will also be the final Annual General Meeting (AGM) for the club. Be sure to come out for food, drinks, socializing and—of course—to exercise your right to vote! All members are welcome to attend and vote. Members who can’t attend the AGM can vote online (more to follower closer to the election). If you are interested in running for a position on the Executive Team, please visit our website and download this year’s election booklet. It goes over the available positions and outlines how campaigning and the election will work. You can see the booklet HERE. All candidates MUST be registered by 9:00 AM, 1 April 2014 to stand for election. The PSA is hosting its first annual Grad Banquet on 5 April 2014. This is a banquet open to all fourth-year students and graduates in the Political Science department. You do not need to be a PSA member to attend. You can purchase tickets from any member of the PSA Executive (Clara B, Phil H, Remy C, Allie C and Nick A). Alternatively, there will also be a booth in front of the Resource Room/Westmacott Room in the Political Science department (4th floor of SSC) where tickets will be sold on Tuesday, 25 March from 10 AM to 2 PM. More information will be released on our Facebook page. 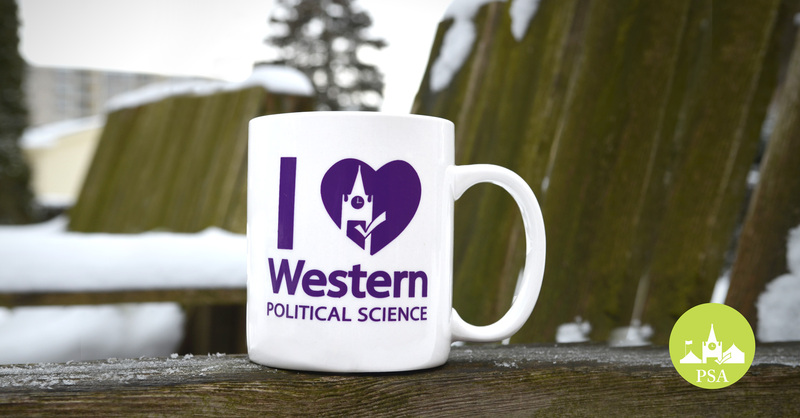 The PSA is once again selling “I ♥ Western Political Science” mugs. These ceramic mugs can be purchased for $5 in front of the Resource Room/Westmacott Room in the Political Science department (4th floor of SSC) on Tuesday, 25 March from 10 AM to 2 PM. Don’t forget that our 1020 Essay Clinic is TOMORROW, 12 March 2014 at 5:00 PM until 9:00 PM in Somerville House 3315. If you are in Political Science 1020, be sure to pop by with your essay draft (or outline) and a mentor will look it over for you. Note that you do not need to have a final draft, we will look over any essay progress that you have. The night class will be given priority during the first portion of the Essay Clinic. For those of you who are unable to attend the Essay Clinic, you can arrange for one of our upper-year mentors to help you. 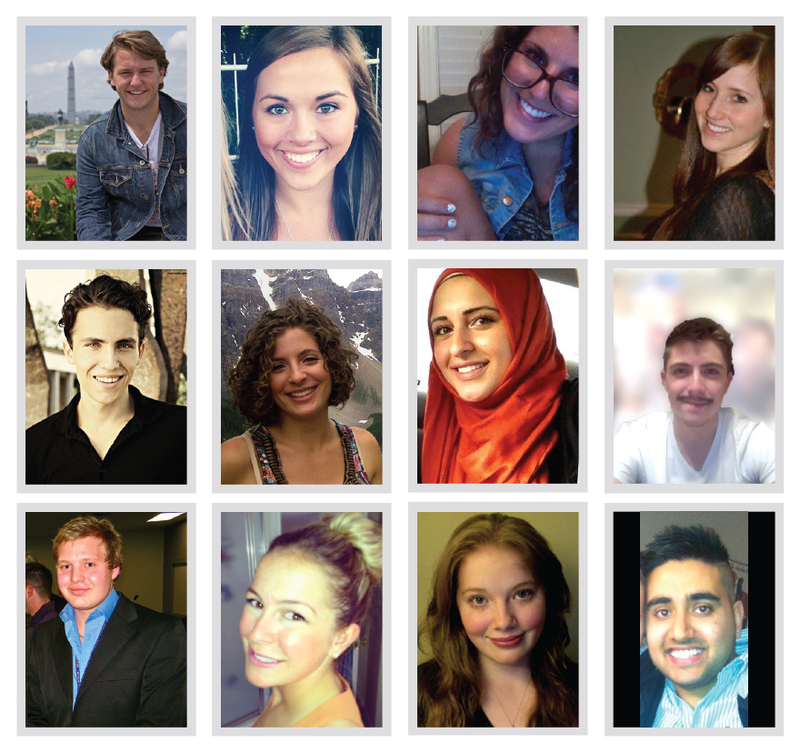 Feel free to contact the PoliSci 1020 mentors and ask them for help. Some of them may be able to meet you on campus, others may only be able help you over email. You can find the list online on page 14: https://uwopsa.files.wordpress.com/2013/11/psa-official-guidebook-2013-141.pdf. When dealing with our mentors, remember that they are volunteer students who also have their own course assignments, so please be respectful if they cannot help you before the 1020 essay due date. If you have any questions or concerns, feel free to contact the PSA at psa.western@gmail.com or at facebook.com/psawestern.